Dog Tornado is made of four layers of rotating discs. 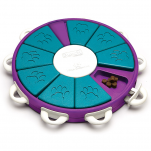 Three layers contain compartments where treats can be hidden. The challenge for your dog is to learn to rotate the different layers in different directions with a nose or a paw to find the hidden booty. 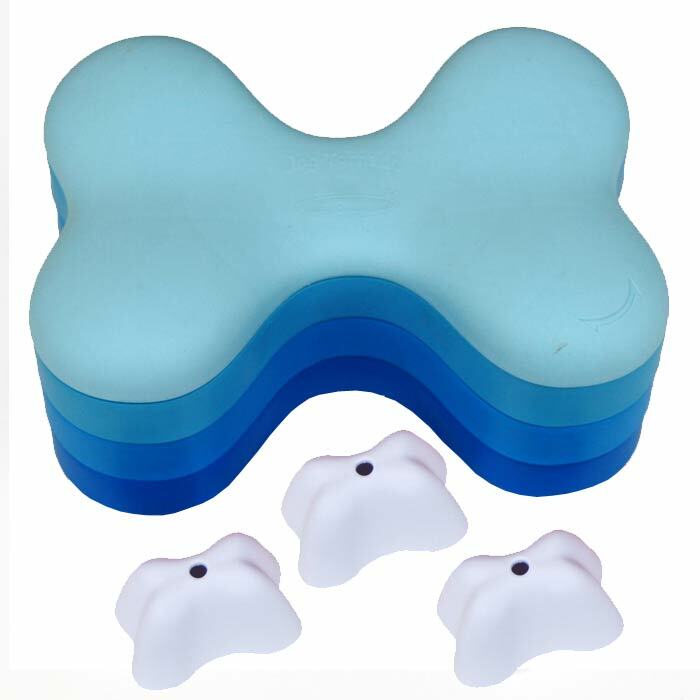 When your canine buddy has mastered this level you can place the white plastic blocks in some of the compartments to increase the difficulty. If needed you can tie a string through the holes in the blocks to make it easier for the dog to lift the blocks away. Should your dog have an injured paw for example, you can place the game on a stool to make the dog work with its nose only. 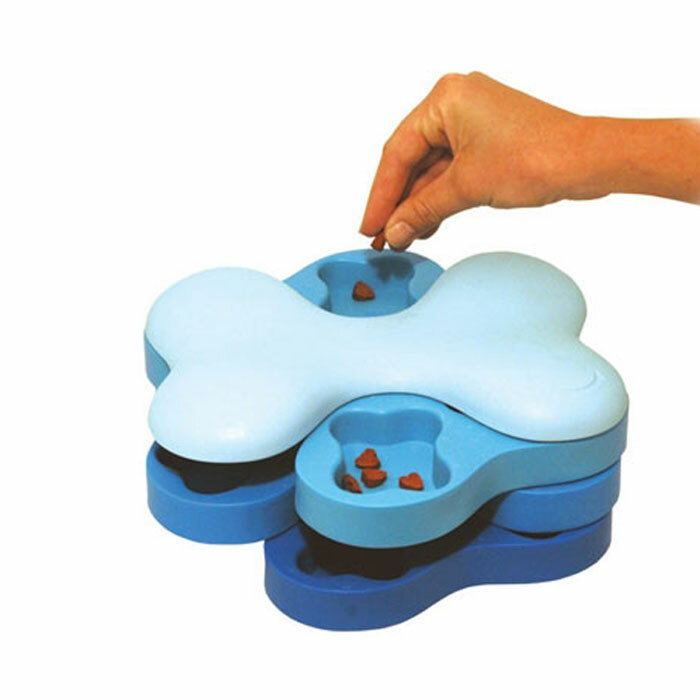 If your dog gulps his food, try serving him his meals in the Dog Tornado. This will slow him down and give him a challenge. He'll eat slower and enjoy his meal more. For a variation mix some meaty dog food with water, pour some of the mixture in the compartments, put the game in the freezer and let it set. 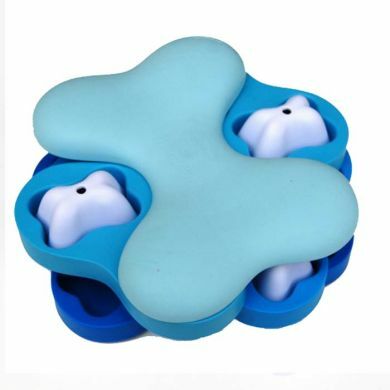 This is perfect for hot days or when the dog needs some extra activity. We try to keep our chihuahua, Sophie, from gulping her food and I wanted to add another "toy" to put her food in. She loves knocking the Dog Pyramid about to get the food out. It's a sturdy toy and she seems to enjoy working at it to get her food. I'm very glad that I ordered it. 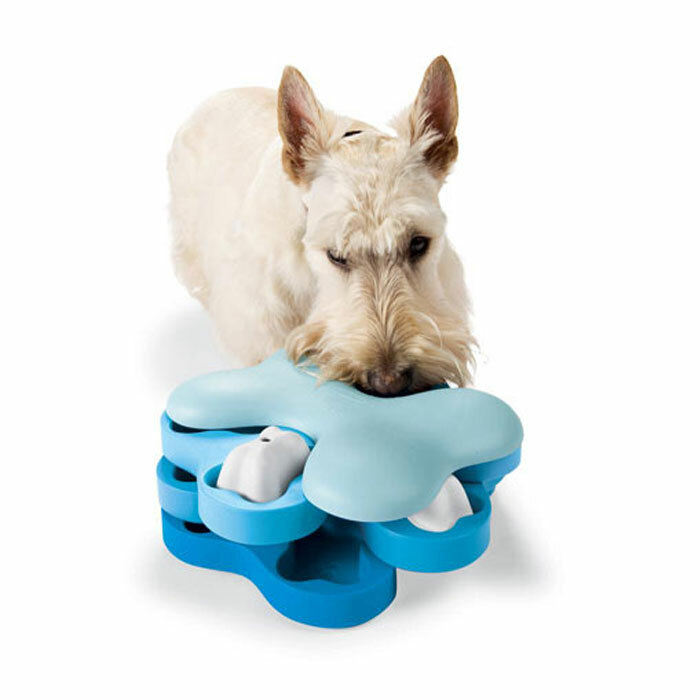 Read 1 customer review of Nina Ottosson Dog Tornado. The average customer rating is 5.